We’re ready to serve your racing engine needs. The engineering specifications of the McManus and Apache® designs are the results of McManus’ vast knowledge and experience of thirty-three years. Using ballistics-grade Kevlar49 and pure 100% carbon fiber to his design specifications, along with hand-laid laminates, and military grade resins, every McManus built boat is precisely constructed to execute solid performance in the most adverse sea conditions. Precise alignment, balance and weight distribution of internal components create a vibration free performance, offering a stable and secure ride while attaining the fastest average speeds. McManus hulls are known to last 20-plus years — unheard of in a high-performance boat designed for rough offshore seas. The hull lifespan, safety record, and unmatched quality command a higher resale value than any other 40’ high-performance deep-vee in the market today. McManus has restored half of the Apache® boats he originally built in the ‘80s and early ‘90s. These were refurbished, not reconstructed, meaning the hulls were still in perfect condition; the new owners were interested in updating the look of the boats. Every boat is created to the client’s specifications, and each is a showpiece of exquisite quality, power, and offshore performance. Hand-painted artwork, graphics, instrumentation, and cockpit designs are as unique as the owners. 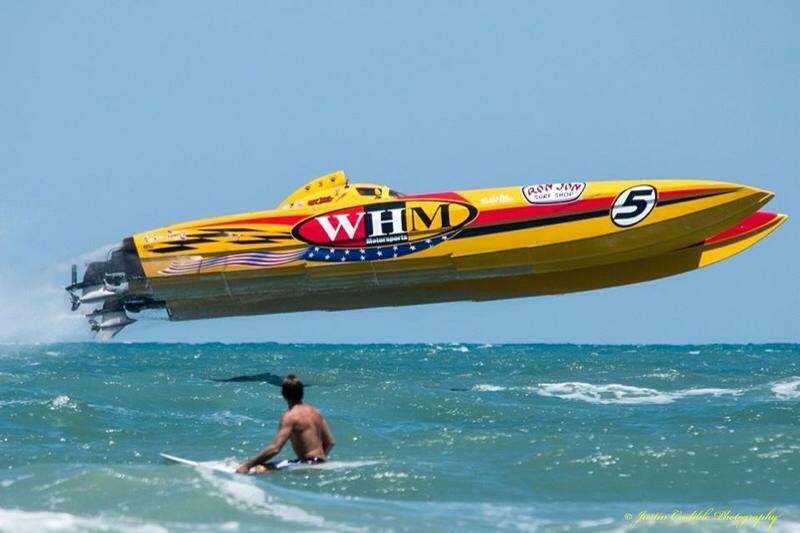 McManus’ powerboats continue to rewrite powerboat history with their fit, finish, and ability to dominate and deliver in offshore waters at excessive speeds. Land or sea racing engines or high power engines for commercial needs is our speciality. Contact us using the form below. We’ll respond as soon as we can.